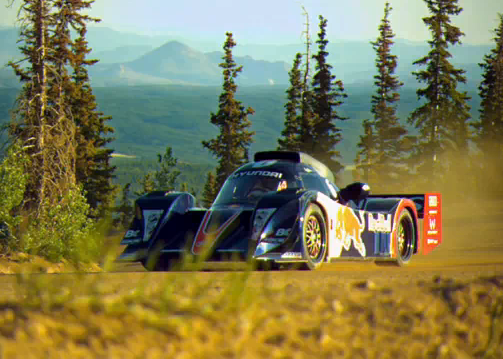 It's taken Red Bull over two weeks to finally release its official video of Rhys Millen's Pikes Peak record challenge in the Hyundai-powered PM580 race car. Perhaps the marketing conscious sponsor was waiting for the dust to settle on the ultimately unsuccessful attempt to break the magical 10-minute barrier before unveiling some predictably slick footage. If that's the case there's certainly no need for embarrassment. As Millen says in the video, you race the mountain before your rivals, and in this case the weather set in before he could reach the summit. The car certainly looks like it has the pace, and the Pikes Peak veteran promised to return next year with a better tuned chassis. We can't wait.